ROWYSO - Tour. . Wallpaper and background images in the luke hemmings club tagged: photo hemmo penguin 5sos 5 seconds of summer luke hemmings. 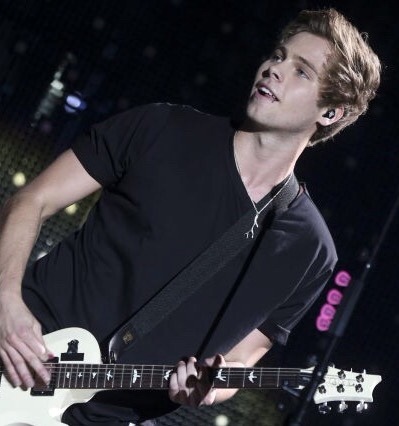 This luke hemmings photo contains gitaris, pemain gitar, and konser. There might also be gitar elektrik, gitar listrik, hawaii gitar, gitar baja, hawaiian guitar, steel guitar, bas, and bass.